One Year/100 Paintings - #96 - live portrait painting at Zoll Studio made in Procreate on iPad Pro with Apple Pencil. One Year/100 Paintings #80 - Portrait painting made during figure drawing session at Zoll Studio. 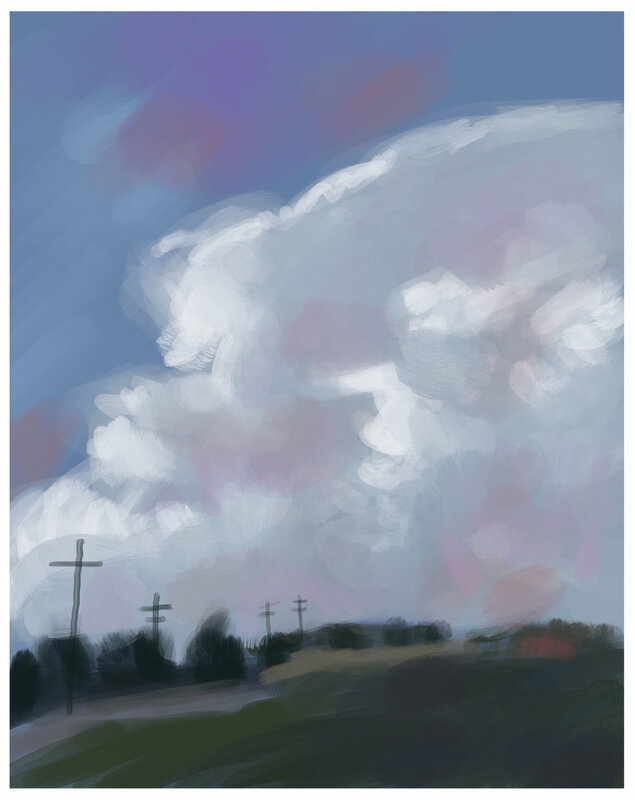 Two hour study painted in Procreate on 12.9” iPad Pro with Apple Pencil. 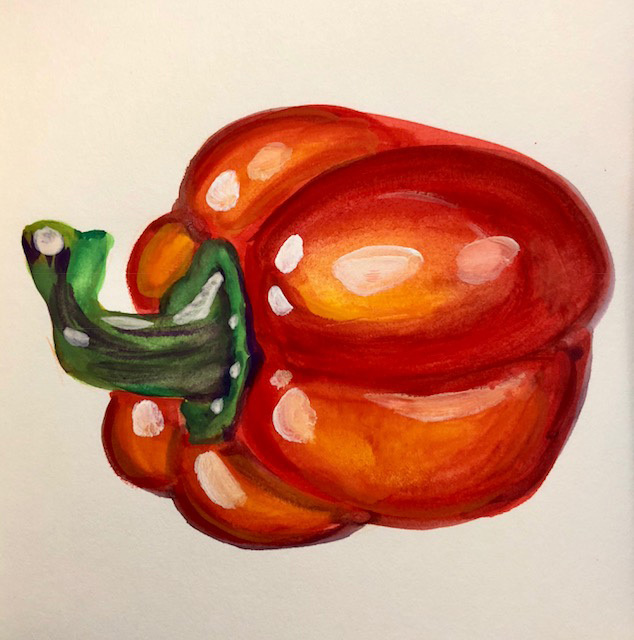 One Year/100 Paintings #34 - “Pear” using photo reference from Unsplash.com. Painting made using watercolor mixed with white gouache in Moleskine 8 x 5 watercolor album. 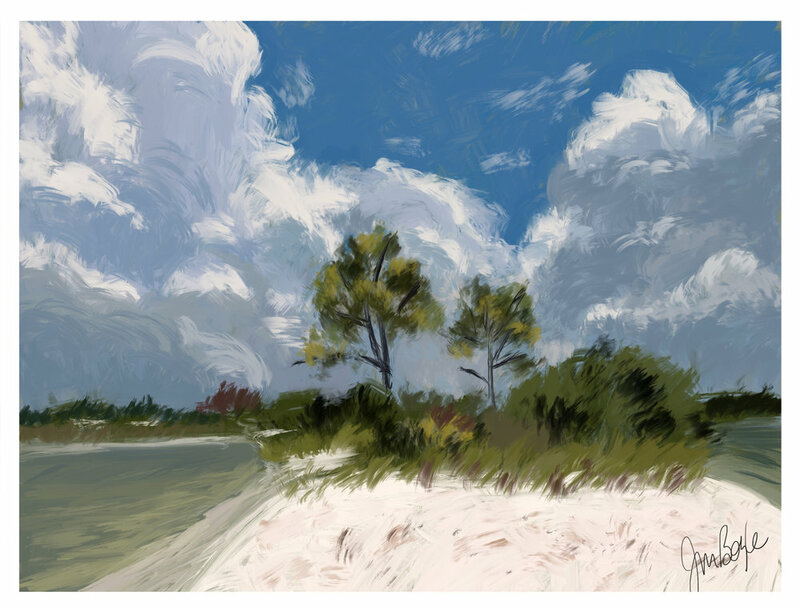 One Year/100 Paintings - Digital paintings showing my progress this year with painting on iPad Pro using Apple Pencil. 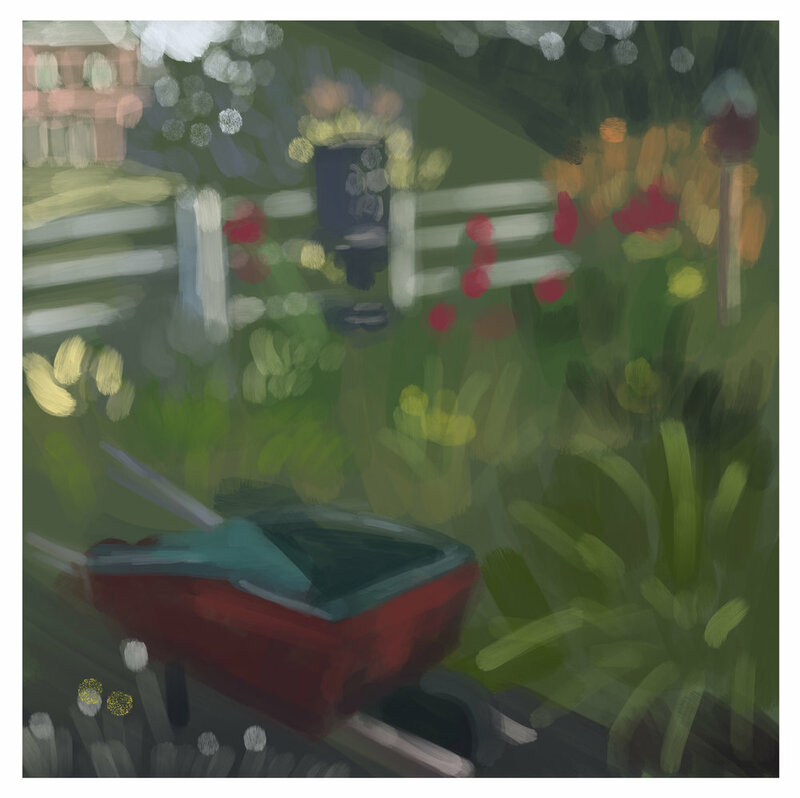 In the beginning, I would place the photo left and sample colors from the photo to make the painting on the right. 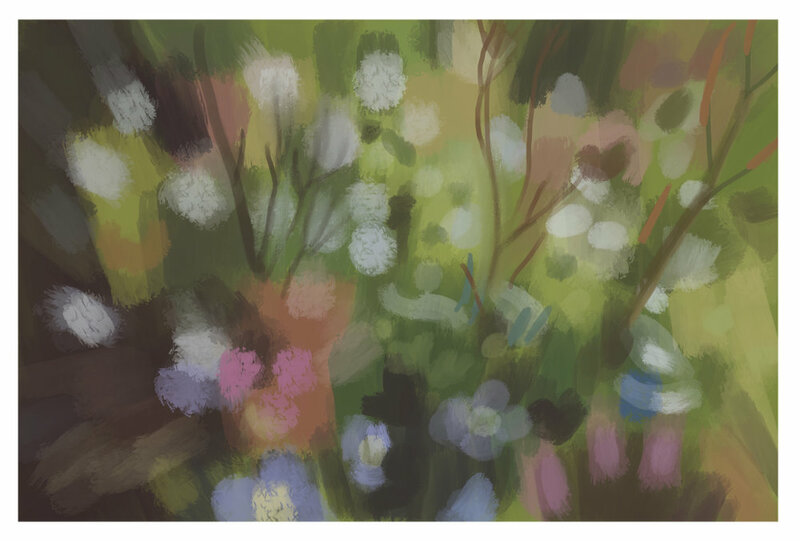 I'm now trying to bring up the photo in a separate window on the left and choose the colors from a palette in Procreate to try to give the painting a more unified color palette. 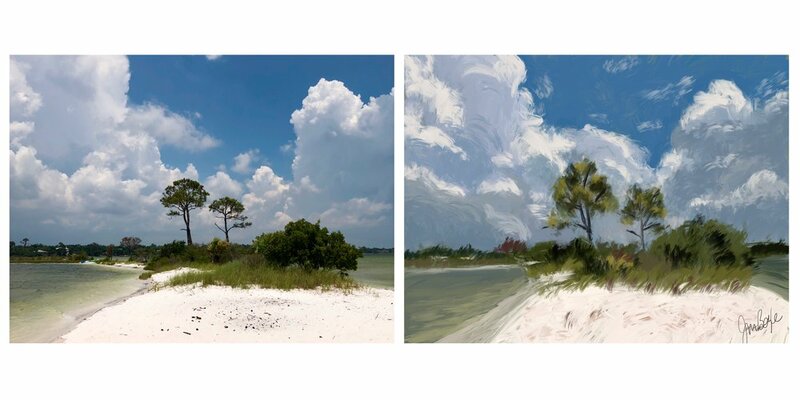 The top image showing the photo on the left with the painting on the right in Procreate. The last two figure paintings are from live model drawing sessions. 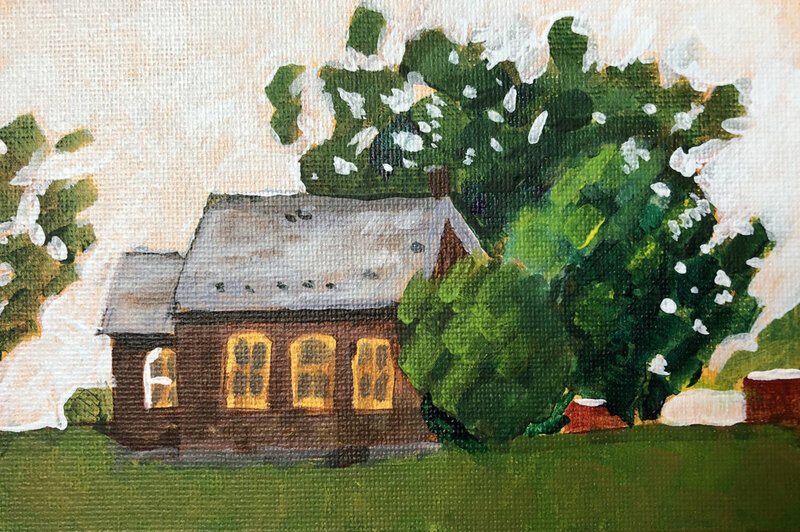 One Year/100 Paintings - #31 - unfinished Plein Air painting of what I believe to be an old one room schoolhouse near the intersection of Fairview Drive and Route 94 in Hanover, PA. Painted with Golden Open Acrylics on 7 x 5 canvas board. 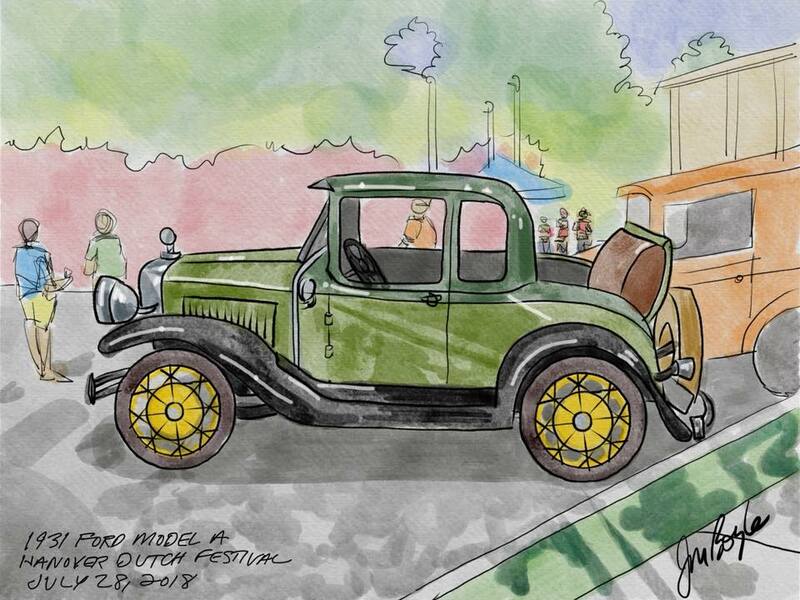 Recently I've been working toward digital urban sketching on a regular basis including creating classic car digital watercolor sketches at local car shows. I'm hopeful that I can pass the sketches on to interested owners of the cars during the show. 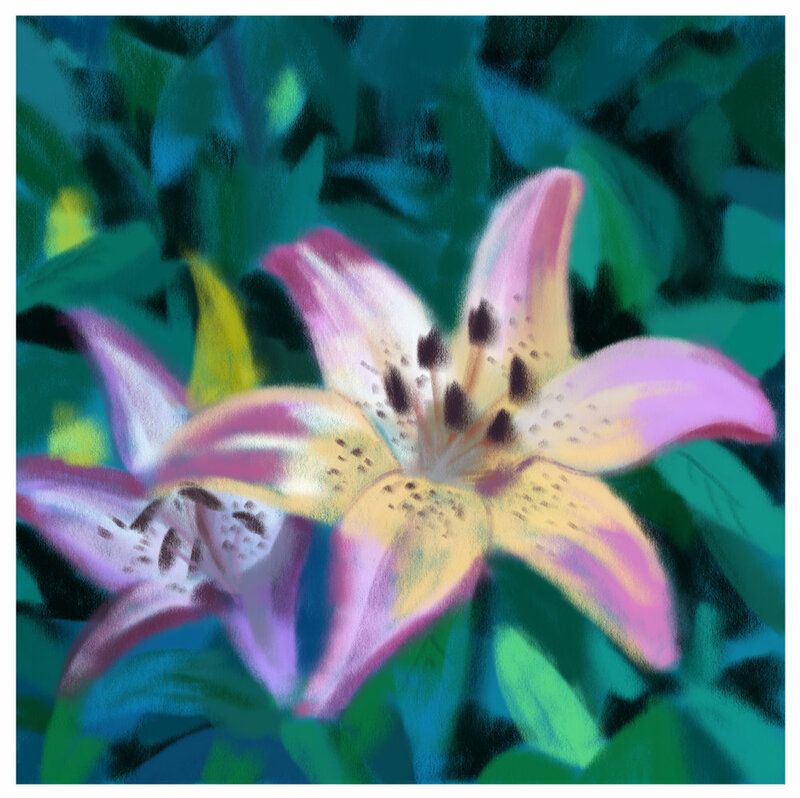 I've been using the Procreate app for iPad on my 12.9" iPad Pro second generation with some very nice watercolor brushes that I've received through my premium Skillshare account. 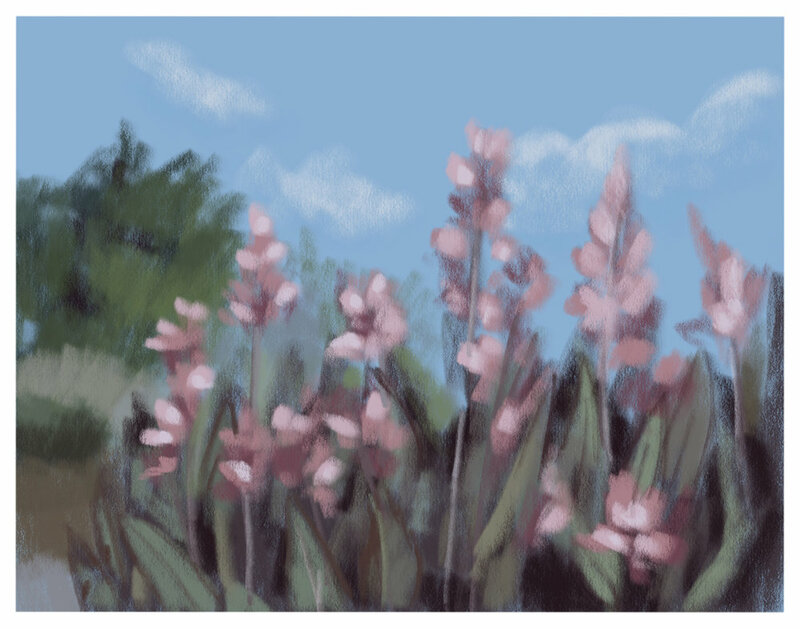 I'm still working on my technique, but the process is that I make a blue line or pencil sketch in Procreate with direct observation, finishing the sketch later at home with color, using a photo reference. 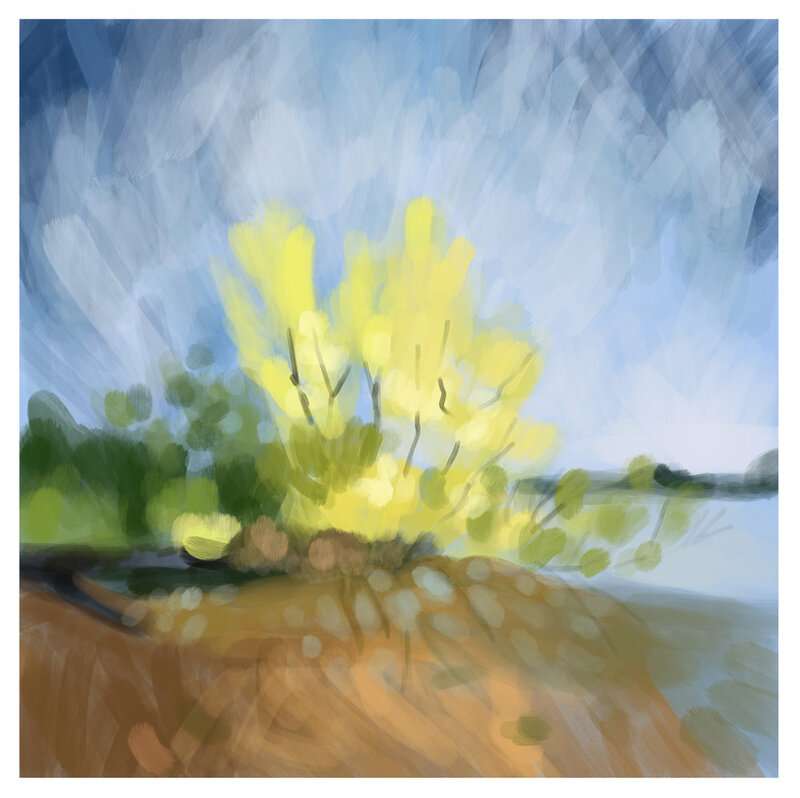 I've been able to send a finished jpg file to interested owners via email. 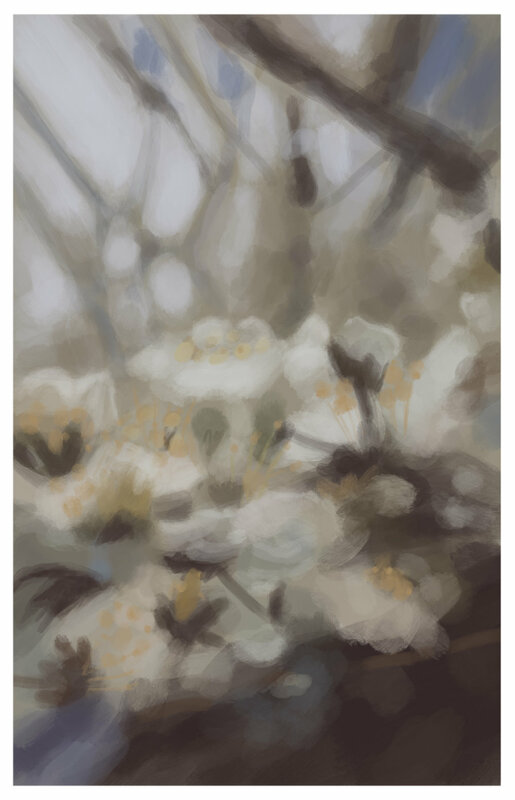 I've had business cards printed up to hand out with my information, and I write the owners email directly on the sketch layer in Procreate, since that layer won't show up in the finished file. #30 - One Year/100 Paintings - The Village - white gouache mixed with watercolor in pocket Stillman and Birn Beta series sketchbook. 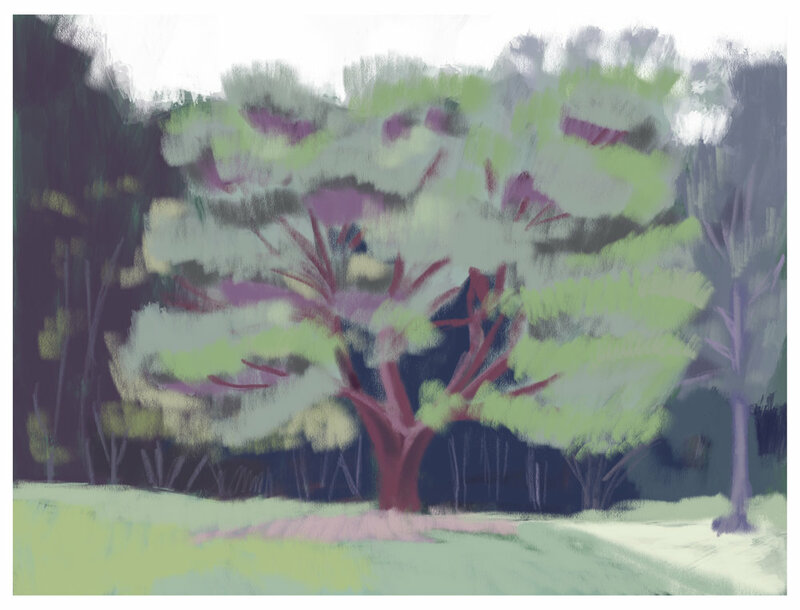 Study from a Morguefile.com reference photo on lunch break. #29 - One Year/100 Paintings - PIneapple - gouache and watercolor in Moleskine watercolor album. 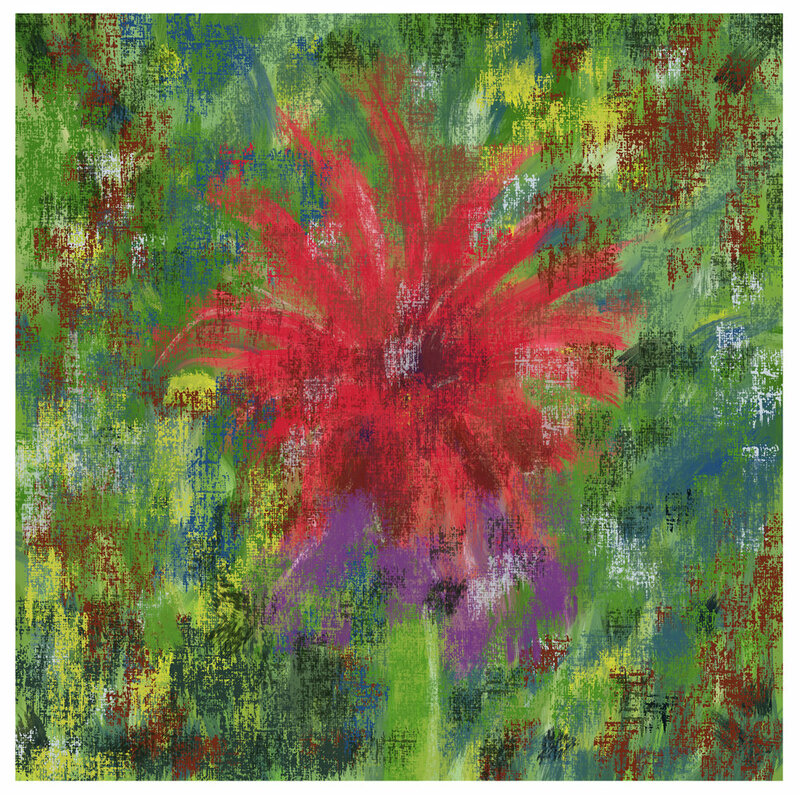 I was inspired to paint this pineapple by a photo I took at my sister's place in Florida, though I didn't paint it until returning to Hanover. #28 - One Year/100 Paintings - Perennial Plant - watercolor and gouache in Moleskine watercolor album. 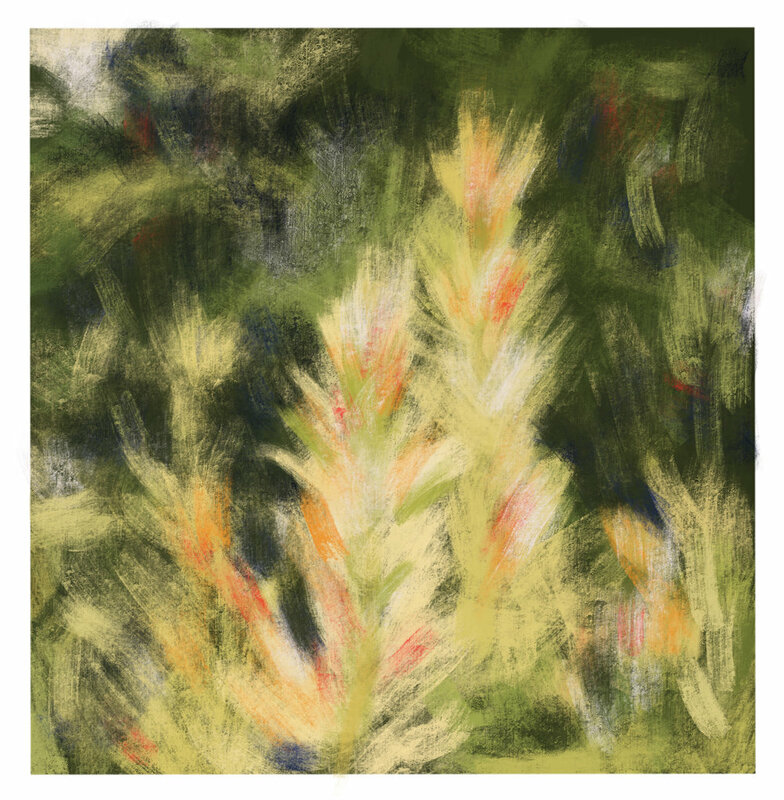 We went to visit my sister in Florida, and she had a vibrant orange perennial plant in her landscaped garden (she wasn't sure what it was called). 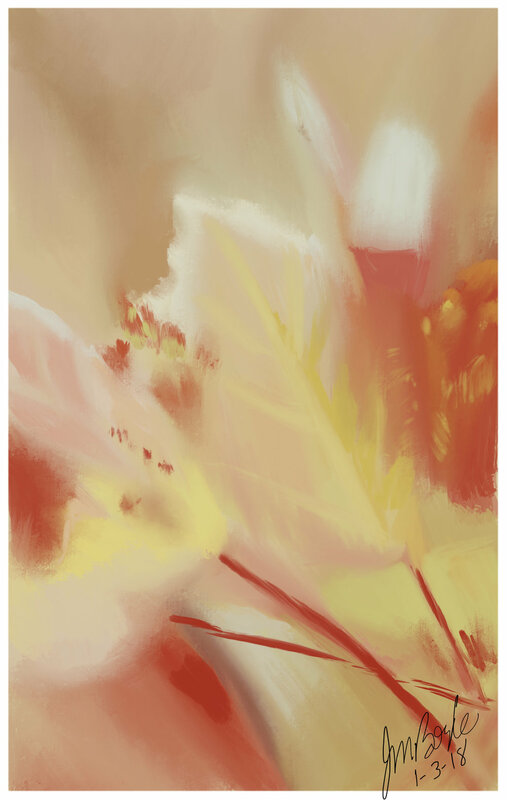 I was drawn to the leaves on the plant, but I will say in my attempt to paint it in a more abstract manner, I have not achieved the vibrancy of the leaves in this painting.